Numerous people suffer from issues related to their appearance and body weight. There are also multiple fast and easy diets, but not all are effective, and almost none offers durable results. It would definitely be the best to lose weight without being aware of it! Well, this is possible, and all you need to do is to walk more. 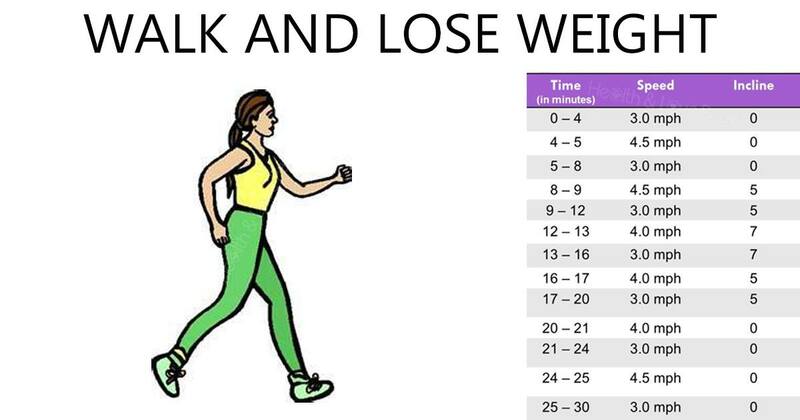 And here is how much you need to walk in order to lose weight! The number of calories burnt depends on two factors, the walking area, and the body weight. Apparently, we burn 400 calories per hour while walking with an average speed of four miles per hour. Therefore, in order to burn 100 calories, you need to make 2,000 steps or 1 mile of walking. That is, you need to burn 3,500 calories to lose a pound. The healthiest weight loss is to lose a pound a week, so you should burn 500 calories daily, or you should walk 5 miles. Therefore, make the needed steps, and you will love your new body!